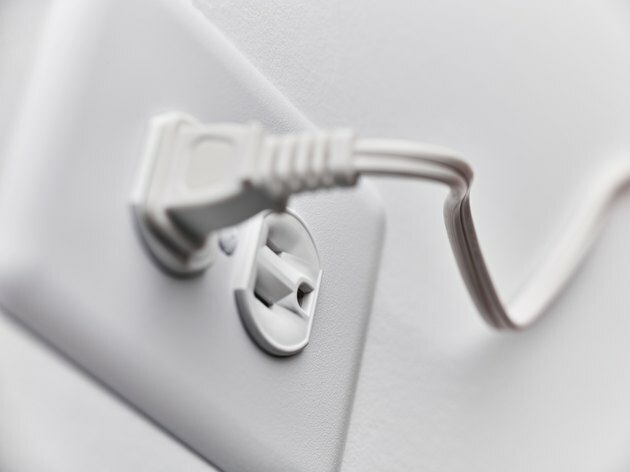 A 220V receptacle is usually required for large appliances, such as ranges, furnaces and electric water heaters. It connects to the panel through a 220V circuit breaker rated for the current draw of the appliance via a 10-gauge or heavier cable with two hot wires, a neutral and – usually – a ground. Situations do arise in which the receptacle has to be converted from 220 volts to 110 volts. The most common situations are when you replace an electric range or dryer with a gas appliance. The 110-volt current is needed to power the controls and the lights on the new appliance. You can convert a receptacle from 220 volts to 110 volts in one of two ways. The first is to use a 220 to 110 adapter. The other is to rewire the receptacle or install a new receptacle next to the old one and connect it to the 220-volt wiring. If you choose either of the second options, you'll have to install a new circuit breaker. 220V breakers are rated for more current than a 110V circuit can carry. An adapter that plugs into a standard 220-volt receptacle and allows you to use a 110-volt plug costs about $30. In technical terms, it provides a NEMA 5-15P outlet, which is a three-pin grounded outlet rated for 15 amps. It has an internal fuse that trips when the current exceeds 15 amps, so you don't need to change the circuit breaker. It doesn't have ground fault protection, however, so you shouldn't use it in a location in which a GFCI is required, such as the laundry room. Commonly called a gas range adapter, it's an easy and effective way to convert a 220V receptacle for use as a 110V outlet when the outlet is behind a range and safely out of the way of moisture. You may not be able to find a 220 to 110 adapter. Instead, you may find a 240 to 120 one or even a 250 to 125. Don't worry. Any of them will work. Electrical manufacturers and electricians use the different numbers because the standard voltage coming into residential panels from the power lines can vary. 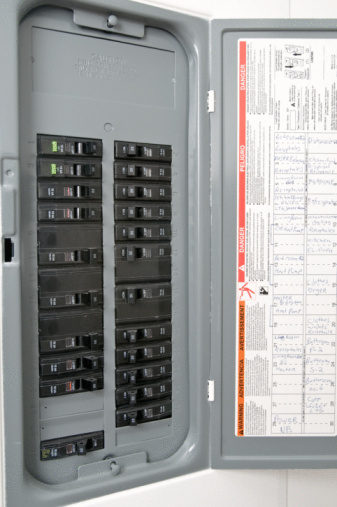 Before you do any electrical wiring, be sure the breaker controlling the circuit is off. It's also a good idea to turn off the main panel breaker, after arranging for an alternate light source, but remember that the panel bus bars are still energized even when you do this. This job requires changing a breaker, so if you aren't comfortable working in the panel, get an electrician to do it. It's best to start the replacement at the receptacle. Unscrew it from the box and disconnect the wires. In most cases, 220 wire has a red and black hot conductor, a white neutral and a bare or green ground. You only need one hot wire for the new receptacle, so screw a wire cap onto the red wire and push it back in the box. If you have 10-gauge wires, you can connect them to a new 110-volt 15- or 20-amp receptacle. Attach the black wire to one of the brass terminal screws, the white wire to the corresponding chrome screw and the green wire to the ground screw. If the wires are too heavy to make the connections, you can always run a new 12-gauge, 2-conductor cable, but it's easier to install a new electrical box next to the existing one and run a 12-gauge wire between them. Splice the black wires, the white ones and the ground ones, screwing a wire cap onto each connection, and hook up the new receptacle in the new box. After you've installed the new receptacle, return to the main panel and pull out the double-gang breaker that was controlling the circuit. Disconnect the wires, cap the red one and push it safely back into the panel. Connect the white wire to the neutral bus and the ground wire to the ground bus. Finally, connect the black wire to the single-pole breaker rated for either 15 or 20 amps, depending on the receptacle rating. Push it into one of the slots occupied by the double-pole breaker you removed and install a cover plate over the vacant slot. You're now ready to turn on the breakers and use the receptacle.